A shorter version of this was published as the 21st installment of Lighthouse, my monthly column for BLink, a supplement of the Hindu Business Line. In 1975, a Tamilian dressed as a sardar landed up in Ahmedabad Railway Station, in disguise to escape the might of the central government, for whom he was a wanted man. He was met there, and escorted to a safe house, by a 25-year-old who had once sold tea on the platform of that station. Freeze that moment in history – Narendra Modi escorting Subramanian Swamy to his safe house – and contrast it to today. What a long way we have come. I got the above trivia from Coomi Kapoor’s excellent book, The Emergency: A Personal History. Kapoor was a journalist living in Delhi in those days, and though her book was timed to coincide with the 40th anniversary of the Emergency, it is anyway a timely reminder of the damage that people drunk on power can do, and the threat that such untrammelled power can pose to a nation. The Emergency began with the filling up of jails. 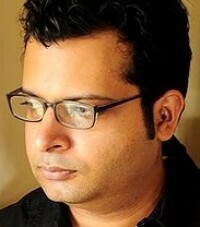 “The number of those in Indira Gandhi’s prisons during the Emergency,” writes Kapoor, “far exceeded the total number jailed during the 1942 Quit India Movement.” This included not just opponents in the opposition parties but also potential ones within her own party plus whoever they damn well felt like. (“The entire Sanskrit department of Delhi University was sent to prison.”) Personal vendettas were quickly settled, and torture was common in the jails. Those close to power were more like despotic rulers than public servants. For example, Kapoor writes, “When an old and respected lawyer of Panipat denounced [Bansi] Lal’s corrupt rule, he was arrested and stripped naked, his face was tarred, and he was dragged all through the streets of the town.” Such behaviour was more rule than exception. The exploits of Sanjay Gandhi and his coterie were particularly shameful. He wrongly believed that India’s population was a problem rather than a resource, and even more wrongly set about solving it through forced sterilisations. Millions of those took place, and the story of the village of Pipli is particularly illustrative of how they functioned. Hawa Singh, a widower, died there after a botched forced sterilisation, and the villagers refused to have anything more to do with family planning. On hearing that, the government sent “several hundred policemen” who “took up positions around the village.” Shots were fired, and “two women making cowdung cakes outside their huts were mowed down by the bullets.” The men surrendered, and hundreds of them were sterilized. To be honest, a political leader does not need to suspend democracy to devastate a country. Even without the Emergency, the vile Indira Gandhi would count as one of the worst leaders in our history. Through a series of disastrous economic policies, many of which her deluded partymen still support, she kept tens of millions of people in poverty, and adversely affected all our lives. There are no counterfactuals, of course, and abstract economic arguments do not have the visceral impact of the kind of stories that Coomi Kapoor’s excellent book is filled with. Let’s get back to the present. To many, the general elections of last year felt like a landmark event because Modi’s win seemed to mark a final, clean break from everything that post-Independence Congress stood for. However, Modi was not brought to power by a monolithic votebank, but by a collection of disparate groups, all of whom were desperate for change for different reasons. Modi was like a Rorschach test – he stood for whatever you wanted him to stand for, and what you saw in him revealed more about you than about him. Hindutva bhakts saw him as the former RSS pracharak who would finally make India a great Hindu nation; economic liberals saw him as the leader who would finally liberate India from the Leftist policies that had kept us backward all these years; and so on. Some of the expectations from him were contradictory; most were impractical, given the constraints of the way our political economy is structured. But Modi encouraged all of them by discouraging none of them. He didn’t say much on policy issues, stuck to safe bromides, and you never really knew to what extent he supported Hindutva or free markets or yada yada yada. He was strong and silent, and he remained strong partly because he remained silent. You could believe whatever you wanted about him – and because the existing government was so incompetent, you wanted to believe. If campaigning was like courtship, governance is like marriage. You can’t be delusional about the object of your affection any more: you’re living with the fellow. And while it’s okay if he burps and farts in your presence, it is simply not okay if he beats you up just like the previous guy used to. So a year down the line, how is the Modi government doing? If you’re an economic liberal like me, Modi has been a disappointment. It is with good reason that people are beginning to refer to this government as UPA 3. Modi has not instituted any far reaching reforms, and the rhetoric of ‘incremental reforms’ does not cut it for me. If a man has gangrene in his legs or cancer in his liver, you do not give him an aspirin and call it incremental reform. ‘Gangrene’ and ‘cancer’ do not need to be managed efficiently, but eliminated brutally. Anyway, this is a subject I’ll elaborate on a future column. For now, I will concede this: Modi’s government is no worse than UPA 2 was. And it’s fair enough to wait out the five years they have been given before passing judgement. It is in the domain of personal freedoms, though, that Modi has let the country down. Much of this is due to petty vindinctiveness, straight out of the Indira Gandhi playbook. Consider how Teesta Setalvad has been harassed after Modi came to power, with the latest salvo being the cancellation of the license of her NGO. (Why should any organisation need a license from the government anyway? Wasn’t Modi the Messiah supposed to do away with this kind of nonsense?) Consider the government’s harassment of NGOs like Greenpeace, and the offloading of Greenpeace campaigner Priya Pillai when she was on her way to England because officials felt she would give India a “negative image” there. Go online, search for videos of the recent Patel uprising in Ahmedabad, and see the brutality with which the police crack down on common citizens. 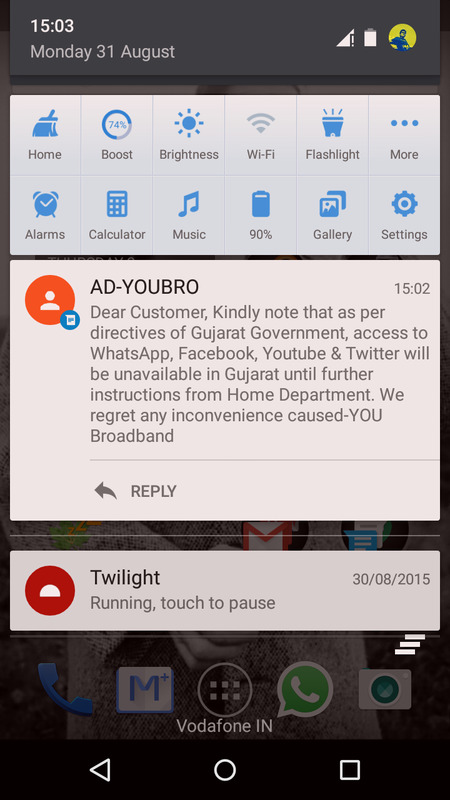 (The Gujarat government also banned the mobile internet during this time, as well as Facebook, Twitter and WhatsApp.) Consider all the nonsense the fringe elements on the Hindu right are getting up to, and the silence of the government on these issues – the same silence you would get from Indira very time she was confronted about the antics of her psychopathic son Sanjay. I suspect it was the latter. And what a loss that is.